MOST SEARCHED USED CAR. Honda Accord was the king of used cars searches in USA. Last December, CarMax, the giant US company, and the largest retailer in the used cars automotive industry, announced the list of the 10 most-searched used cars by American buyers, according to its search engine tools and all its lots and inventories across the country. The well known and respected, Honda Accord, was the king and the most searched used car according to the Richmond-based company. CarMax said that its website, carmax.com, receives 5.5 million visits per month approximately. The novelty this year was given by the Jeep Wrangler and the Chevy Silverado, which appeared in the most-searched used cars list of 2009. "This year's list shows the variety of makes and models our customers are considering when shopping online for a quality used car", said Ann Yauger, Director of CarMax.com. He also aggregated, "Every car in our inventory can be found on carmax.com and it will show the same no-haggle price you'll see at your local CarMax store." 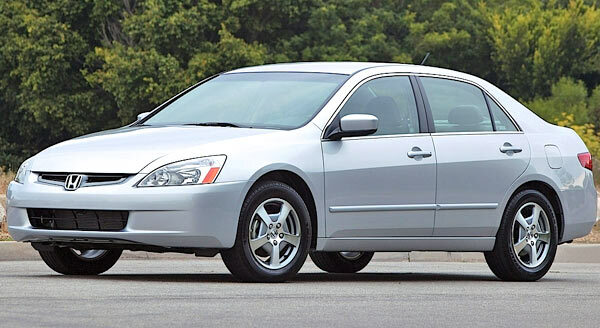 2003-2007 HONDA ACCORD VIDEO REVIEW — The Japanese sedan stands out for its dependability, high quality and impressive fuel economy.